Gates’s idea of technology that crosses boundaries may sound abstract. But a subset of education technology tools are starting to do just that, and last week the Christensen Institute launched a free, searchable market map of ed tech tools that connect students to people — experts, mentors, near peers — they don’t already know. The market map reflects our research over the past three years into tools that put new relationships into reach for students, and we’ll continue to add more. To help educators understand how technology can expand and diversify students’ networks, we’ve tagged these tools according to the relationships offered and segments of the market served. 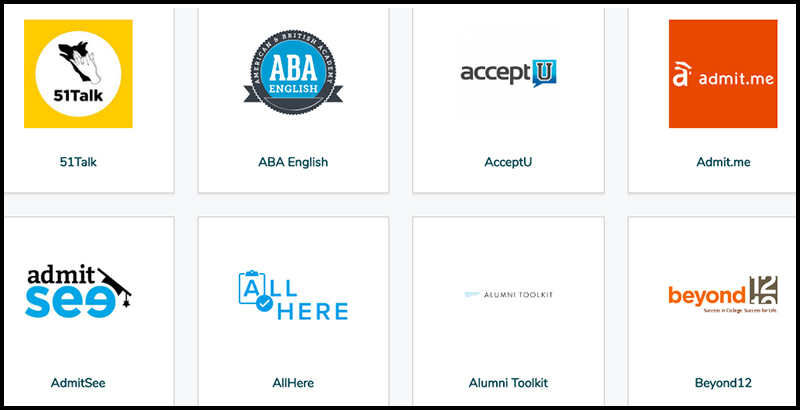 For example, users can filter for tools that focus on relationships that support students’ access to and success through college, like Alumni Toolkit, College Vine, and Beyond12, all of which connect them with near-peer mentors and coaches. Or, they can filter for tools that pair project-based learning with access to real-world relationships, such as Level Up Village, which links students in classrooms across the globe to collaborate on projects, or TEPHE, which helps teachers recruit experts who can bring learning to life in their classrooms with real-world experiences and examples. What sets these tools apart is not just how they can help schools support students in new ways or bring the real world into classrooms stubbornly stuck in 19th century designs. These tools, over time, could help education systems address the social side of opportunity gaps. Importantly, these tools stand out against mainstream social networking technologies that don’t always connect users to people they don’t know. Indeed, on average, 93 percent of Facebook “friends” know one another in real life. As Gates noted, technology could serve as an antidote to differences — economic, social, or geographic — that separate us in 2018. But technology’s expanding footprint has also correlated with an era rife with division. Gates is not the only one hopeful that this will somehow change course. Take Facebook founder Mark Zuckerberg’s own reckoning with the current world order. In his New Year’s resolution for 2017, Zuckerberg posted a heartfelt note to his 80 million online followers, vowing to spend the next year traveling to talk to people in every state. Going into this challenge, it seems we are at a turning point in history. For decades, technology and globalization have made us more productive and connected. This has created many benefits, but for a lot of people it has also made life more challenging. This has contributed to a greater sense of division than I have felt in my lifetime. We need to find a way to change the game so it works for everyone. My work is about connecting the world and giving everyone a voice. I want to personally hear more of those voices this year. … My trips this year will take different forms — road trips with Priscilla, stops in small towns and universities, visits to our offices across the country, meetings with teachers and scientists, and trips to fun places you recommend along the way. The irony of Zuckerberg’s challenge, of course, cannot be understated. One of the world’s leading social networking entrepreneurs wants to go meet with people in person? By car? He might as well have said he’d be riding a covered wagon from Silicon Valley back across the Great Plains. Whether he intended it or not, Zuckerberg’s resolution posed a paradox that is core to our social lives in the 21st century. Today, innovations that connect people abound. Networking apps, online dating sites, and high-speed communications are part of daily life. Internet connectivity is at an all-time high. And most teachers can attest to the fact that young people of all ages are more connected — technologically speaking — than ever. And yet, we remain stubbornly separated. Class, race, geography, and belief systems continue to divide us. Children inherit their parents’ social networks — networks that are mirrored and reinforced by the neighborhoods and geographies in which they live and the schools they attend. Amid these trends, alarming relationship gaps persist, translating into well-hidden but troubling and widespread opportunity gaps. Gates may have overstated how digital tools can open up a world divided: Technology alone is not the solution to cultural differences and the politics of globalization, immigration, and segregation. But in one small pocket of the ed tech market, carefully designed and implemented technologies are starting to disrupt the staid structures that keep certain relationships and connections out of reach for young people. They can, in turn, offer new sources of support, advice, and inroads into the knowledge economy. While schools often reflect the limitations and opportunities of the neighborhoods they serve, technology that connects students has the potential to reach beyond, and across, the boundaries we face in 2018. Julia Freeland Fisher is director of education research at the Clayton Christensen Institute and author of the upcoming book Who You Know: Unlocking Innovations That Expand Students’ Networks.